We can take you riding through the historic woodlands of the New Forest. There's no better way to explore the peace and beauty of the National Park. The Holiday Hack (7yrs +) is Burley Villa's family, beginner ride . They settle you on your mount, helping with some basic instruction before heading out to visit the wild ponies. The instructors often walk along with this hack to assist younger or nervous riders. The 90 min ride costs £39 each or £35 each for four or more riders. 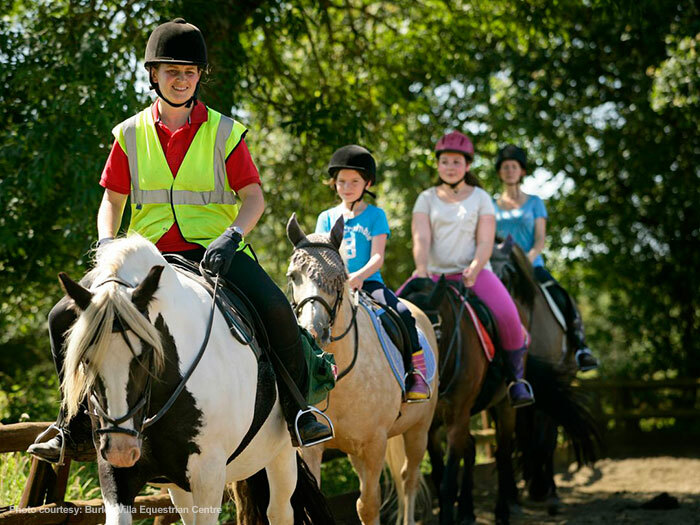 Western Trails (12yrs +) are suitable for beginner riders. The 90 min or 2 hour trails start in the arena, getting you acquainted with your trusty steed before riding out into the wild blue yonder. Trails cost £42.50 or £52.50 each. 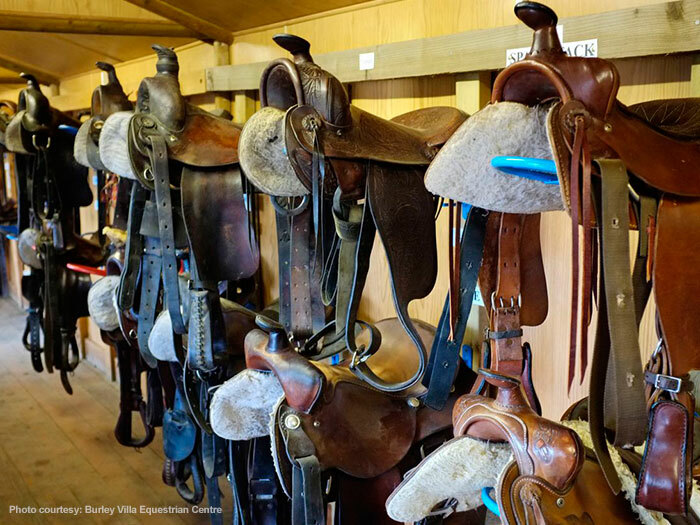 The western style is a more relaxed and gentle way of riding. 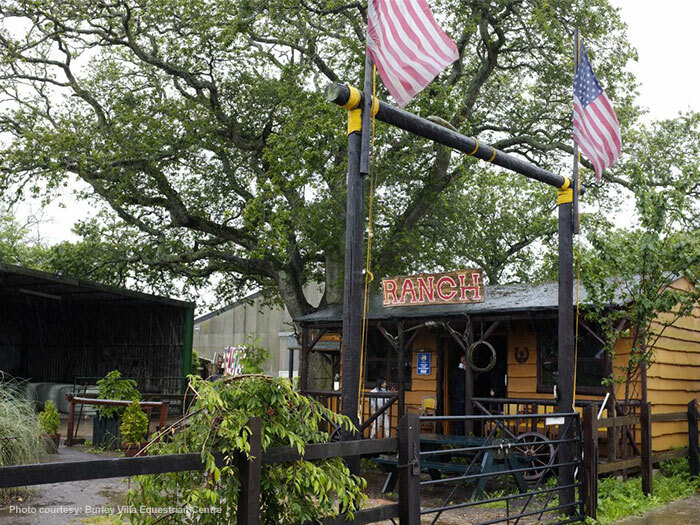 You don’t have to be a ‘John Wayne’, most riders have never ridden before so, ‘get yer jeans on and ride the range’. Walk and Trot Group Hacks are for more experienced riders, competent at rising trot. They also cost £42.50 or £52.50 each. If you are competent and want to canter then private rides for 90 mins or 2 hours are offered. They do not gallop or jump on the forest. To improve your skills, lessons are available in the arena. 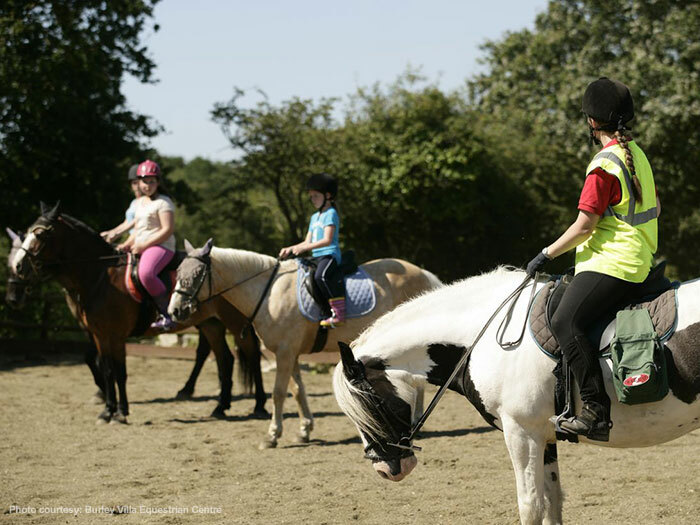 Lessons cater for children and adults who want to learn to ride from scratch or who haven't ridden in years, and for those seasoned riders who want to learn dressage and jumping. You have to be 7 or over to ride out but there are Pony Rides and ‘Cowboy Adventures for Kids’ to offer younger children over 4yrs old. Beginners are always welcome. Hen & Stag parties, Corporate and Group discounts available. For more information about Burley Villa Equestrian Centre, visit the Burley Villa website or telephone 01590 612345.